ARM designs the technology that lays at the heart of advanced digital products, from wireless, networking and consumer entertainment solutions to imaging, automotive, security and storage devices. 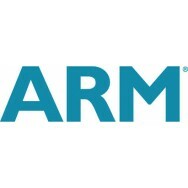 ARM’s comprehensive product offering includes 16/32-bit RISC microprocessors, data engines, 3D processors, digital libraries, embedded memories, peripherals, software and development tools, as well as analog functions and high-speed connectivity products. combined with the company’s broad Partner community, they provide a total system solution that offers a fast, reliable path to market for leading electronic companies. ARM is now a global corporation with more than 1,250 employees and facilities in 12 countries on three continents. business process automation is a maturing concept, widely adopted as necessary components of the supply chain management cycle of a company’s manufactured products. the economic slowdowns in the last few years have prompted manufacturing organisations such as ARM to reduce costs and shorten manufacturing cycles through the use of automated business processes that are web-enabled, globally reachable and easily sustainable. 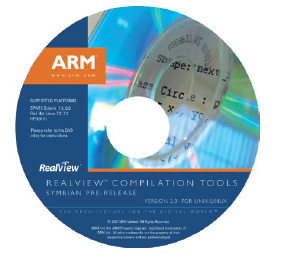 ARM’s Systems Design Division outsourced key components of its product line to Contract Manufacturers (‘CM’s’) for the production of CDs, DVDs, printed matter and packaging materials. 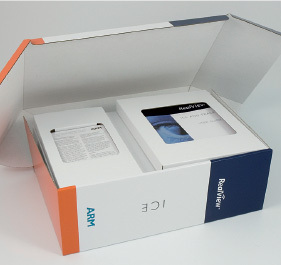 The challenge was to consolidate and streamline the release, build and distribution of new software products containing CD / DVD, printed materials and packaging by allowing customisable templates that contained programmed restrictions to meet ARMs’s Corporate Identity standards, and to shorten the overall production time frame of ARM Development Systems Tools. Consistent corporate identity across ARM products: Magellan regulate the content that is being printed on the labels for CDs / DVDs, insert sleeves for cases, box labels for packaging and generic mailer envelopes, ensuring corporate identity standards are met. Enhanced process efficiency: ARM manufacturing benefits from getting their products into the market faster. turnaround time for new artwork creation and approval is reduced from 3-4 weeks to 5 working days. 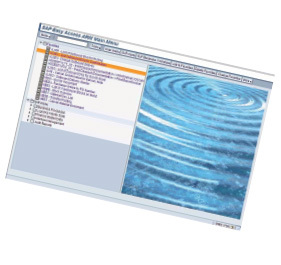 Lower costs and working capital requirements: inventory and shipping costs are reduced since the artwork files used to create First Article copies can be electronically transferred to the CM and manufactured on site. The connection and integration of ARM’s employees and business partners to an integrated software platform promotes the ARM identity and streamlines the ordering process removing the need to re-enter information at different stages of the order fulfilment process. Because Magellan technology is designed to provide a single source solution for product procurement, inventory management, customer service and reporting functions, ARM is not burdened with outsourcing these tasks to multiple vendors and realises ‘one-stop shopping’ to support all functions of the online store. Magellan has already worked with ARM to provide cost savings though generic manufacture and introduction of alternative materials. by utilising generic components, ARM will benefit from more cost effective packaging coupled with lower obsolete inventory costs.